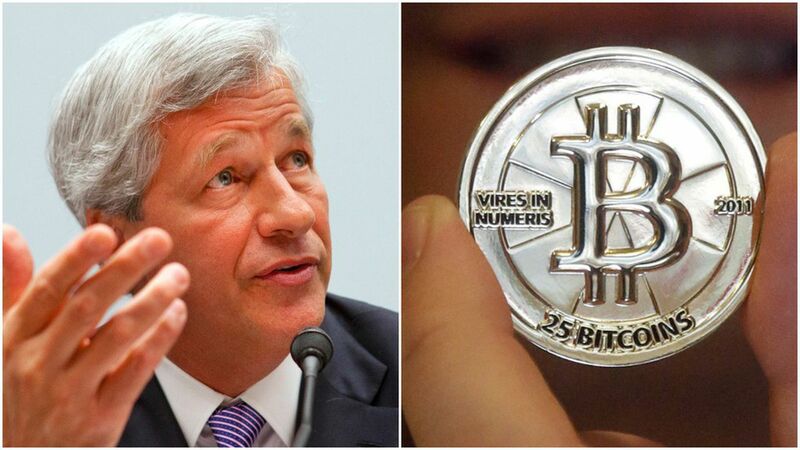 Jamie Dimon says bitcoin is "a fraud" and "won't end well"
JP Morgan CEO Jamie Dimon slammed bitcoin Tuesday, calling the digital currency "a fraud," per CNBC. He said it's "worse than tulip bulbs” — a reference to the 17th century economic bubble. "It won't end well. Someone is going to get killed," Dimon said at a Barclays banking conference. "Currencies have legal support. It will blow up." Why it matters: Dimon has been pessimistic about bitcoin and other cryptocurrencies in the past, and has argued that there will never be a currency "that gets around government controls." And Dimon isn't the only critic. Other analysts have argued that bitcoin is nothing more than a fad with no value, and have warned that the currency's current market success could create an economic bubble. Market reaction: Bitcoin stock fell roughly 0.8% after Dimon's comments.